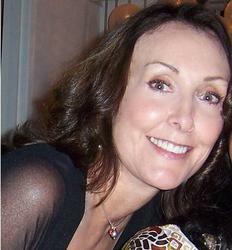 Tress MacNeille, is an American voice actress best known for providing various voices on the animated series The Simpsons, Futurama, Tiny Toon Adventures, Animaniacs, Disney's House of Mouse, Chip 'n Dale Rescue Rangers, and Dave the Barbarian. She sang and appeared in the music video (as Lucille Ball) for "Weird Al" Yankovic's song "Ricky" (1983), which was based on the I Love Lucy television show and parodied the song "Mickey" by Toni Basil. MacNeille also appeared on Yankovic's 1999 album Running with Scissors, on the track "Pretty Fly for a Rabbi." She has provided voices for numerous films, television shows, video games and commercials, garnering over 200 credits and has provided voices on many other television shows and cartoons such as Rugrats (as Charlotte Pickles), Chip 'n Dale Rescue Rangers (as Chip and Gadget). She is the current voice of Daisy Duck and Wilma Flintstone and appeared as an angry anchorwoman in Elvira, Mistress of the Dark and served as the voice of Elvira's Great-Aunt Morganna Talbot.